Baby Harlow is one lucky girl! 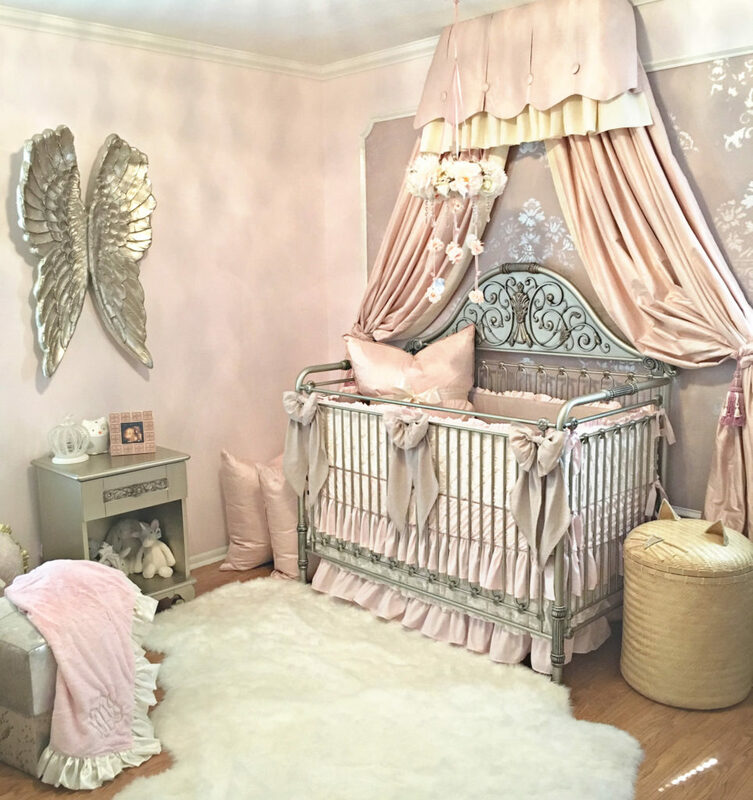 This nursery is nothing short of a labor of love, partly because the parents happen to be two of the most amazing people I've ever met, and partly because I feel like Harlow is my own baby girl! In fact, she's about to get a nursery here at work just to entice her mommy back sooner! Her momma is the manager for our store in San Antonio, and her grandmother is the talent behind that gorgeous metallic wood wall that's all over Pinterest. So basically, they just ooooze talent anyways. We were so excited to design a nursery around our new linen and lace collection, especially with our brand new detachable large crib bows. 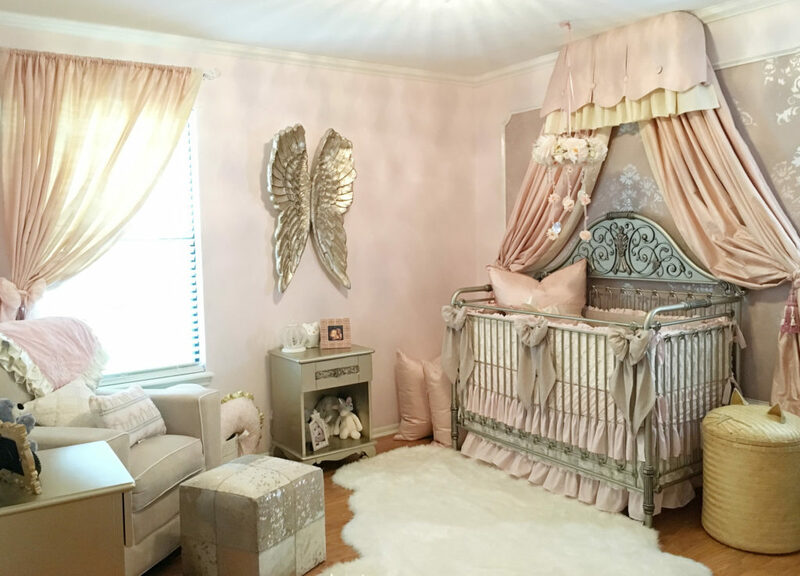 And, I love how this nursery exemplifies how you can combine silver and gold for that perfect metallic glam look. Sweet shades of blush, ivory, and linen all tie it together perfectly. The only thing missing now is baby Harlow Jean! Where can I get the hello gorgeous wall sign in harlowes nursery? You can find the artist and her work here. Where can find the gold wings? Hi Mychelle, They are from Nursery Couture. Where can I find that mobile? I love it! No one has asked about the crib yet?! It’s amazing! So where can I find such a crib?! Beautiful nursery!!! This is absolutely amazing! Who made the queen/shade/curtains hanging above the crib? What is the pink paint color? Thanks!!! Where can I find the paint? The metallic color? Where is the crib from? I’m absolutely obsessed with it! Hi Maree, It’s from Bratt Decor. Was the top pink valance above the bed custom made or can I order it somewhere? Thank you!!! Do you have How-to instructions for the mobile?